Let me wish you a warm welcome to my official personal website. This website also serves as a comprehensive portfolio. Here you can find information on my teaching philosophy and research work, supervision, publication and other scholarly activities. Apart from this official website I'm also visible online through my e-learning courses, wikis and blog related to teaching/learning (see the related links). 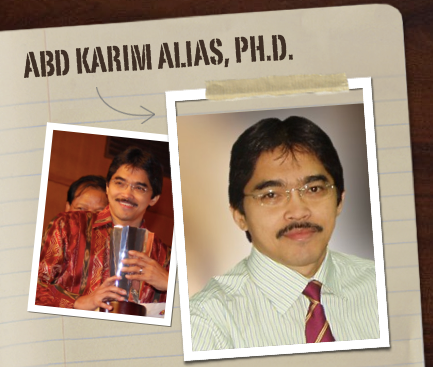 Learn more about my work from the menu above a glimpse of my academic career in Universiti Sains Malaysia since 1994. Learn more about my beloved Universiti Sains Malaysia. Universiti Sains Malaysia (USM) was established in 1969 and the second oldest university after Universiti Malaya (UM). The main campus is located in the pristine and scenic Bukit Minden in the Penang Island. Visit the website and also the official Facebook page.